This is a prototype for the new Q Workshop Celtic Design coming out later in 2010. 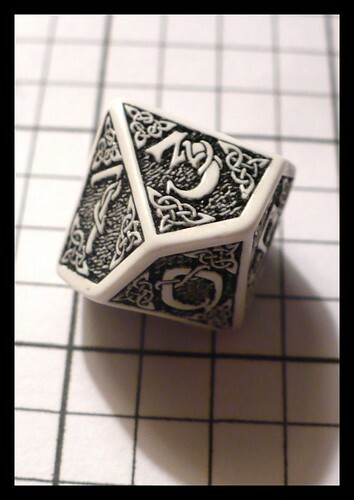 This was one of the almost 200 dice they sent me in leu of the prize money for having won the design competition. What a Great design and what a great group of people.